There has been talk about the arrival of Web 3.0 – the semantic web – for quite some time now. There is already a lot of progress here with the implementation of things like the RDF schema and the semantic web stacks. There has been talk about the arrival of Web 3.0 – the semantic web – for quite some time now. There is already a lot of progress here with the implementation of things like the RDF schema and the semantic web stacks. The approach so far has been top-down with standardization tools introduced and webmasters being asked to implement them on their websites. However, a truly semantic web may not be possible unless there is a desperate need for businesses to implement them on their websites. 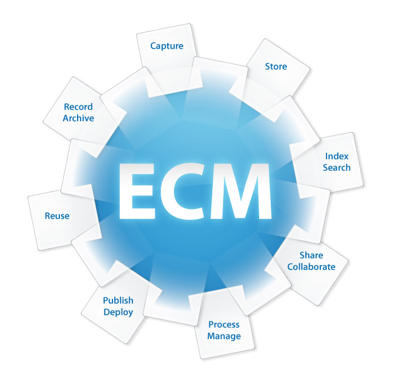 And that, in my opinion, is going to come from the evolution of the enterprise content management (ECM) industry. ECM, for the uninitiated, comprises of the technologies, methods and tools that are used by businesses to organize and store their organization’s documents. Think of the physical files and folders that lined up your business shelves in the 80s. This is the virtual counterpart, only much larger and complex. The number of documents and folders that are handled by companies every year is humongous. The value that can be derived from these terabytes of data can truly revolutionize the strategies and understanding of one’s business. And that is possible with big data. But before we get there, ECM requires standardization and an architecture that supports big data. Stanbol project is an example of one development that has tried to connect enterprise content management systems along with their semantic technologies to backend systems like NoSQL Document Stores through text-analysis solutions. The result is a system that is completely inter-operable and extensible. To understand the true impact of a semantic ECM, consider the area of contracts management. Businesses are increasingly moving away from physical contracts to agreements that are signed electronically through services like SignNow. In a semantic setup, all the meta data relating to the signature which includes information about the signee, their designation, time of signature, the geographical coordinates relating to the signature, etc. are stored within the document. Using tools as made available through the Stanbol project, it should now be possible to seamlessly connect this information to a database that handles contract information. Once this is available, organizations could, for instance, use big data analytics to identify if there is a connection between signing contracts ahead of the holiday season and projects getting delayed. This is one simple example to demonstrate the power of big data analytics in ECM on strategy and decision making of large businesses. A successful case study here would trigger mass adoption of ECM big data analytics among enterprises. When this is done, businesses naturally become ready for the next step in the evolution process – which is the semantic web. This bottom-up approach is extremely vital for the successful implementation of the semantic web. It is to be seen how this takes shape over the next 5-10 years. One thing is for sure – big data is going to play an extremely important role in the world of semantic web that is not too far away.